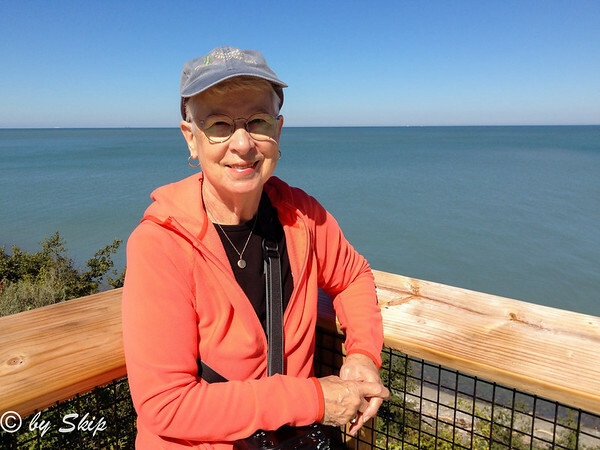 I am Carolyn, also known as Skip, a lover of nature who enjoys trail walking. I am a photography enthusiast, striving to develop a photographer’s eye and learn the skills needed to capture and share good quality images that I and others will enjoy. My equipment is basic: a Nikon D7100, several lenses, and a decent tripod. Do I dream of a camera bag filled with professional-level DSLRs and plenty of good glass? Would I enjoy occasional trips to exotic places for unique photoshoots? Sure I would! It’s fun to dream, but I’m retired and my budget isn’t as big as my dreams. Fortunately, I believe that interesting photo opps can be found anywhere: outside my back door, along the trails of our local parks, or walking the city streets. This is where I capture most of my images. That's why this site, and my blog, are titled “Seen Along the Trail,” and it’s the reason I sign my posts with the name Trail Walker. You can see the blog here. If you choose to FOLLOW the blog, you will get regular updates about life along the trails. Thank you for visiting my site. If you have any questions or comments, please click on the contact form in the menu to send me an email.